Google is by far the largest and most important search engines to target for most of the world’s websites. Being visible in Google in any number of targeted SERPs can make the difference between a thriving brand and a dead idea. All too often, brands can be impacted by changes in search engine algorithms or accidental decisions. In these cases, Google penalties can apply – and they most certainly can harm your traffic. There are several forms of link penalties issued by Google, and this type of penalty is by far the most common. Let’s examine the most common types of link penalties handed down by Google, so you’ll be aware of what to avoid and/or how to respond to them. Before you start pinging links to any website, it is imperative that you evaluate its credibility and authority with Google. One of the most common link penalties, linking to low quality websites can result in your website being dinged as a result. The association between your website and the poor quality website can be viewed as an endorsement of sorts; since Google does not want these websites featuring prominently in their results, sites that link to them will likewise be affected. Despite the sheer number of websites on the internet, Google employees sooner or later get around to personally inspecting a wide variety of websites. Manual link penalties can occur for any of the reasons mentioned here, but are foisted on websites directly rather than via algorithms. Whether you linked to a bad website or simply appear to be spamming links, these penalties can come without warning and are among the most difficult to rectify. Some websites develop what are known as reciprocal linking habits, where each website frequently links back to the other. In many cases, this occurs naturally: some websites simply have natural affiliations with each other due to similar topics or relationships. However, websites that are not necessarily tied together closely by anything other than links can result in reciprocal link penalties from Google. As such, always make sure that you’re avoiding shady link building tactics by not constantly pinging links to one or more websites due to guest posting or previously-arranged link building agreements. Last but not least, any instance in which Google finds unnatural links pointing to or from your website can land you with one or more penalties. What makes this potentially hazardous is if the links are pointing to your website rather than from it. In the latter case, simply removing the links will solve the problem. In the other situation, you must either convince the website(s) in question to remove your links, or go through the process of disavowing the links via Google. This issue can pop up for perfectly normal and organic reasons, but can also be the result of competitors purposefully trying to damage your brand. 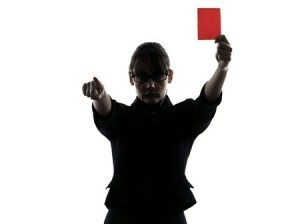 Google link penalties come in many shapes and forms, but the ones mentioned above are by far the most common. In most cases, responsible use of content and links will ensure you avoid the problem. However, with algorithms constantly changing and competitors looking for ways to hurt their competition, nothing is guaranteed forever. « Which SEO Tactics Are Essential for News Websites?